L-Carnitine is a vitamin-like and an amino acid like nutrient in the body which transport fatty acids across the mitochondria (cell's energy powerhouse) membranes, converting stored body fat into useable energy for the body. Although the body is able to synthesize it, the production of L-Carnitine is a very complex process, requiring numerous vitamins, minerals and amino acids, and often declines as we age. As L-Carnitine is found primarily in meat, vegetarians and those who are on low meat diet often suffers from low L-Carnitine levels. Other factors such as high fat diets, certain medications, and low protein intake can cause a severe decline in L-Carnitine in the body, causing frequent tiredness, chest pain, muscle weakness and pain, increased body fat and elevated cholesterol. The heart is highly dependent on L-Carnitine as it obtains 70% of its energy from fat breakdown. As L-Carnitine is required to transport fat into the mitochondria for breakdown into fuel, without sufficient L-Carnitine, the heart muscle will be weak and drained of energy. By accelerating fat burning for energy, L-Carnitine also prevents the build up of fat in this vital organ. Apart from improving oxygenation of the heart muscle, L-Carnitine, with its antioxidant properties protects the heart muscle and increases its strength. L-Carnitine also promotes cardiovascular health by lowering unhealthy LDL "bad" cholesterol and triglycerides, while preserving and promoting better HDL "good" cholesterol levels. If the body is not burning fat efficiently, excess fat will be stored away in the body, causing your waist and hips to expand. However, in order for fat to be burned, they must first be transported into the mitochondria where they are broken down. L-Carnitine transports fat into the mitochondria, fires up your body's "fat burning furnace" to burn fat and increase metabolism for weight loss. In short, L-Carnitine unlocks the energy stored in your fat, allowing you to trim those unsightly bulges while keeping your energy levels high. Carnitine actually has nothing intrinsically to do with meat. Sure, the name comes from the Latin carne, which means meat, but that's just because such copious amounts of carnitine were found in meat. But if we were cannibals we would have found just as much carnitine in human flesh, too. And if it had been found in some plant first, it probably would have been named appropriately. Carnitine is also found in some plants, as well as milk, cheese and yogurt. Carnitine is not a "men's" supplement. Lots of bodybuilders take it, of course, but L-Carnitine is just as essential a nutrient for women as it is for men. Both genders require it for the metabolization of fat and cardiovascular health. Carnitine is NOT an amino-acid. It is an amino-acid by-product. This means that if you have all the essential amino acids in your system, your body will naturally synthesize carnitine on its own (barring genetic problems with doing so, of course). The only kind of carnitine you should be taking is L-Carnitine. Not D-Carnitine and not Acetyl-L-Carnitine. D-Carnitine interferes and operates completely differently. Acetyl-l-carnitine is itself made by L-Carnitine as a by-product, so if you have L-Carnitine you don't need to also take Acetyl. Besides, L-Carnitine has a wider range of benefits than Acetyl on its own. If you're vegan, you probably need to take L-Carnitine. Vegetarians may need it also because there are such trace amounts of carnitine in eggs and other dairy products. Vegans will likely be especially deficient in carnitine. If you have gained weight since you've stopped eating meat or animal products, this is probably why. SHOP NOW for the BEST L-Carnitine supplements at the LOWEST prices! L-carnitine is a natural chemical compound which is responsible for different needs of the organism like the transport of long-chain fatty acids through the mitochondrial membrane of the cell. It supplies fatty acids for the beta-oxidation and so it provides energy production into the mitochondrial matrix of the cells, especially into the skeletal muscle and myocardial cells. It its known that carnitine increases physical endurance of the organism. L-carnitine is synthesized from lysine and methionine in the liver and kidneys. The human body naturally contains about 20-25 g l-carnitine and it is interesting that 98 % of this amount is stored into skeletal muscle and into the heart muscle. With food, we receive 10-100 mg carnitine daily, which in turn is reabsorbed in the gastrointestinal tract by using specific transport machinery. But you should remember that the needs of the human body are greater. When we talk about increased physical activity, for example, the needs can exceed the daily supply. Of course that can be compensated by using the L-CARNITINE as a food supplement. Some genetic, liver and kidney diseases, consuming of fat-rich food or poor in lysine and methionine diets can cause a carnitine deficiency. This condition is characterized with a muscle fatigue, chest and muscle pain, weakness, hypotonia, and confusion. In cases of proven L-carnitine deficit, taking it like supplement is recommended. 500mg L-Carnitine, 2-3 times per day. 1,000mg L-Carnitine, 2-3 times a day. L-carnitine is not expensive supplement, at all. So if you look for healthy way to improve your condition, L-carnitine is the answer. But remember, supplements are not substitute of the good high-nutritious foods. Even L-carnitine is healthy, you should not overdose it. Buy only from famous brands if you could, because they are tested in the time! Mitochondria functions decline and free radical damage are two main causes of ageing. L-Carnitine is a potent anti-ageing nutrient that functions as an antioxidant and mops away free radicals and improve cellular energy metabolism. It carries fatty acids into the mitochondria, the "furnace of the cell". Within the "furnace", the fatty acids are broken down or burned and energy is produced. Without enough L-Carnitine to move fatty acids to the right place, your body will eventually tire out and you may feel drained and sluggish. L-Carnitine is also important for detoxification - it removes lactic acid, ammonia and other toxic metabolic by products including acyl units that would otherwise disturb the fat burning process and energy production. In the attempt to cut back on cholesterol intake, many people, especially the elderly reduce their meat consumption and unknowingly reduce their intake of L-Carnitine. Coupled with a decline in L-Carnitine production in the body as one ages, this causes low L-Carnitine levels in the body. This "deficiency" often expresses itself as lowered energy levels, increased body fat and increased blood lipid - typical afflictions of an ageing body. L-Carnitine can be considered a longevity nutrient as it helps seniors stay fit and healthy, both in body and mind. One of L-Carnitine's most interesting uses is to protect the heart muscle from drug toxicity and extend the survival rate of patients with heart problems. Numerous studies have shown, that it is helpful for speeding up recovery after a heart attack as well as for treating angina (chest pain), arrhythmia (irregular heartbeats), and congestive heart failure. Studies also suggest that those who take L-Carnitine soon after a heart attack may be less likely to suffer a subsequent heart attack. In fact, the FDA has approved the use of L-Carnitine for the treatment of heart disease and low energy levels. 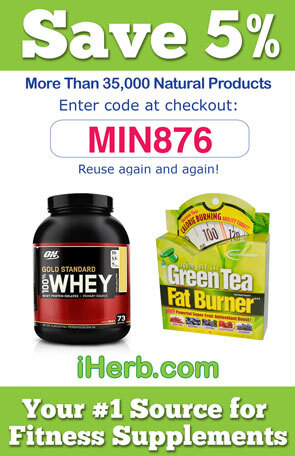 Use code MIN876 for up to $10 off your first order.